We’d love your help. Let us know what’s wrong with this preview of Daddy's Boy by Majanka Verstraete. 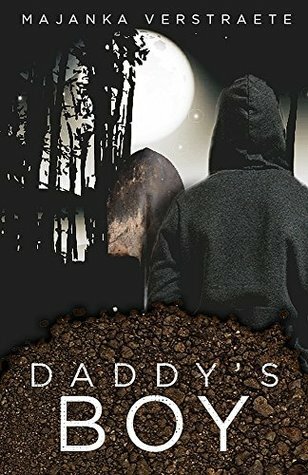 To ask other readers questions about Daddy's Boy, please sign up. I love reading books from authors I've never heard of. When this authors name popped into my email to review I couldn't resist. This is a real quick read. In this short stor I love reading books from authors I've never heard of. When this authors name popped into my email to review I couldn't resist. This is a real quick read. In this short story we read of what happens when Jake finds out his girlfriend is pregnant. We read of the impact it has on him, his girlfriend and his close friend. This could have been a five star for me. However I felt the ending let it down. Maybe there was a hidden meaning behind it that I didn't grasp. If your looking for a sweet romance give this a miss. First off, I'd like to say that I received an ARC in exchange for an honest review. Jake's girlfriend is on his case again, this time because she's pregnant and needs him to step up and get his act together. He spends his time drinking and being lazy. So of course anyone who would be expecting a baby would want them to cut back on the drinking and get a full time job. Babies aren't cheap that's for sure. Only problem is, Jake is freaking out. He didn't have the best role model as a dad. In fact, First off, I'd like to say that I received an ARC in exchange for an honest review. Jake's girlfriend is on his case again, this time because she's pregnant and needs him to step up and get his act together. He spends his time drinking and being lazy. So of course anyone who would be expecting a baby would want them to cut back on the drinking and get a full time job. Babies aren't cheap that's for sure. Only problem is, Jake is freaking out. He didn't have the best role model as a dad. In fact, he has quite a lot of bad memories. So while sitting on the couch soaking up the information his girlfriend just threw at him, he ends up thinking about his dad. Is he ready to be a dad himself? What should he do? Should he make her get rid of it, or step up and be the man they both need him to be? This is certainly a super quick read. I certainly wasn't expecting the outcome, lol. With that being said, it actually wasn't bad. My husband who doesn't read what so ever, asked me what I was reading. I told him... and he said, "What! Really? Yeah! That sounds like my kind of book." So that says A LOT!!!! It's worth a read, so check it out!! :) It's only like 27 pages long. A lot can happen in a short period of time. 26 pages of a f*#&ed up story about a guy who pretty much goes crazy after he finds out that his girlfriend is pregnant. How the author put that much crazy into such a short story is beyond me! It's fast paced, intense and again f*#&ed up. Worth a read. Majanka is currently developing a new YA shifter series wit Author Majanka Verstraete has written more than twenty unique works of fiction. A native of Belgium, Majanka’s novels explore the true nature of monsters: the good, the bad, and just about every species in between. Her young adult books include the acclaimed Mirrorland (YA Dark Fantasy) and Angel of Death (YA Paranormal) series of novels.